Hotel ibis budget Schwerin Sued. Book online now! Free Wifi! 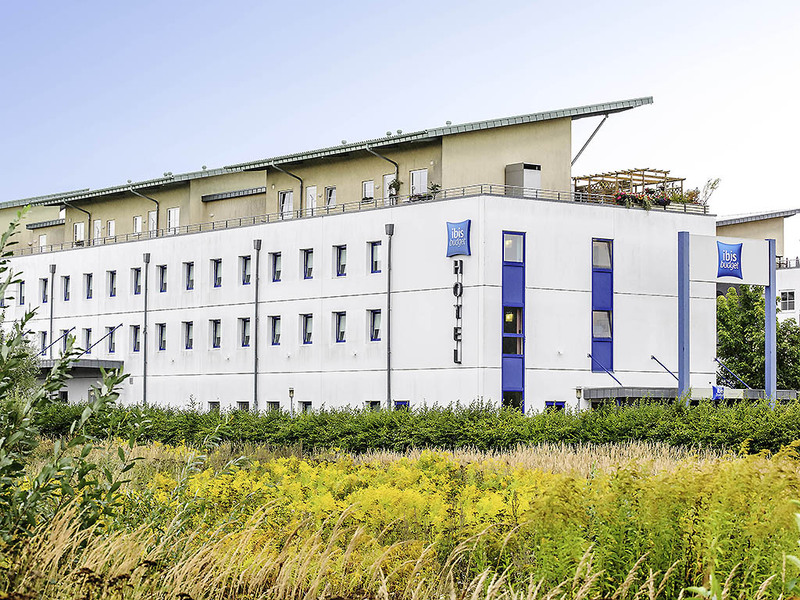 The ibis budget Schwerin Süd is just 20 minutes from the city center and can be quickly and easily reached from the nearby airport and the B106 highway. Stay in one of the 83 rooms, each of which is equipped for up to 2 adults and 1 child under the age of 12. Enjoy free WIFI access and parking at the hotel. Start your day with our buffet breakfast. The check in was alright , a big thanks to the guy at the desk who speaks English very good , room was clean , only the smell of cigarette in the room was a bit uncomfortable even if it was a non smoker area. Compact and clean and easy to arrive. Reservation and checking are very easy and quick to do. The hotel is very good for one night stop. Inexpensive. Good breakfast. Too far from centre of town. Loved the room, bathroom and WC is okay. Breakfast could be better for 7.5 Eur. Finding the hotel was not easy, our gps shows the address totally wrong and because there was no sign on the crossing, finding took a while. Otherwise the hotel was fine. Building felt old and dirty, in need of renovations. Very hospitable, excellent breakfast. Room small but adequate. The breakfast was fine (8). The The friendlliness of the personel was above average (10). But the standard of the rooms below average, especially the WC and the chair in the room. No chairs to relax in the room. Friendly staff, calm Hotel, good service. Quiet, good room, good Bed. Good location, spotlessly clean and very good value for money. The room was very clean, and the bed comfortable. So that met core requirements. But the shower and toilet were close to unacceptable. Turning on the shower blasts you with water that takes a moment to get to temperature and you have nowhere to run. There is no space to put any clothes or even hang a towel without it getting wet. You are forced to dress outside. The toilet is very narrow and low. So, for the price it is manageable for me by myself - but my wife would never ever accept such a room.